Finding the waste service in Antioch can be really confusing. With so many competitors claiming they are the best you have several options to choose from. 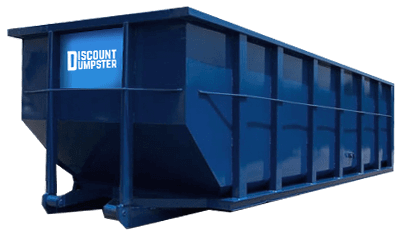 At Discount Dumpster we strive to serve the community with the most cost-efficient option when it comes to renting a dumpster. Our waste service offers low flat rates that are set up immediately. Call us today to order your next roll off and we will walk you through the entire process. We want you to get the best deal possible. Are you tire of looking at that clutter piling up and collecting dust? Call us today to get a quick estimate on your dumpster today. 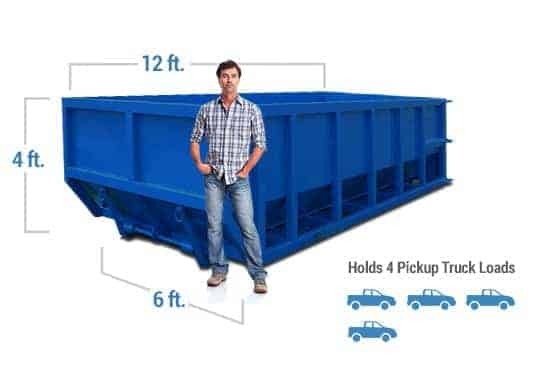 We have all the standard size bins available for your efforts no matter how big or small. Our waste service offers 10, 15, 20, 30, and 40 cubic yard containers. Likewise, you are able to order as many bins as you need for as long as you would like to have them. When you are ready to complete that project let us know and we can have that dumpster out to you in a timely manner. It really is that simple! The 12-yard is usual for small renovation efforts. Its compact size allows for the bin to fit virtually anywhere. The 12-yard allows you to discard of light household clean out debris. Slightly larger than the 12-yard roll off, the 15 yard is common for small-scale retrofitting. The 15-yard’s size allows it to hold construction rubble such as wooden planks. Its low height and walk in option allow for easy disposal of any waste. The 20 yard roll off is ideal for full room remodels and demolitions. You can easily discard of household and construction clutter. The 20 yard is can also be used for small-scale deck removal and refitting. Smaller than the 40 yard, the 30 yard bin is frequently used for multiple home renovations. Its relatively broad size allows the vessel to hold construction rubbish. With 30 cubic yards of space, it is a typical choice for large-scale building refurbishing. 40 yard waste bin is commonplace for contractors working on large building blueprints. You can transfer several tons of concrete and glass with the 40 yard. It is standard for contractors performing large-scale building planning. Our waste service has been in the business for over a decade. We have seen just about every bit of clutter the area has to offer. There are many items we can transfer to disposal sites, but there are items we cannot accept as well. We cannot accept any hazardous waste whether it’s a container filled with freon or a simple car battery. In addition, other items that are prohibited include paint, oils, tires, and propane tanks. These items require special disposal methods and are not acceptable by our waste service. For more information on what can and cannot be discarded, call us during business hours and we will be delighted to answer any questions you may have. We Have the Waste Removal Option for You! Is it finally time to upgrade the pool house in the backyard? Or maybe you would like to add that extra bedroom onto the house. Whatever the project may be, let Discount Dumpster help you with it. Our waste service caters to any project you may want to undertake for your home or business. Rent a container today and start hauling that sheet rock, concrete, and metal by morning. 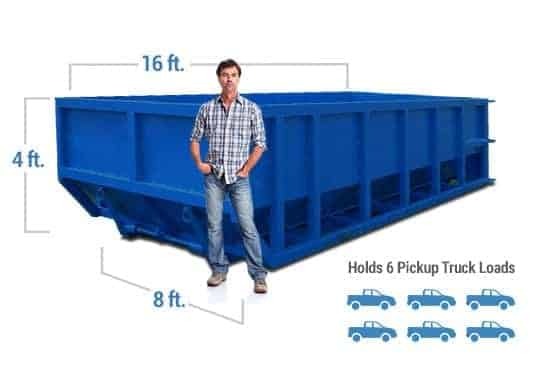 Our dumpster sizes can handle just about any load, and you can order as many bins needed for the project. Contact our customer service team during business hours to get a free estimate from a live person. Are you looking for a hassle-free, cost-efficient method for your waste disposal effort? Then call Discount Dumpster today to take the stress out of renting a container. Our waste service provide roll offs with all the hauling space you need, and you can save up to $100 when you rent with our company. Every roll off features a loading door, making transferring bulky and heavy items an easy task. Once your dumpster is filled, call us and our waste service will promptly pick it up. Our customer service team is available Monday through Friday to answer any questions or concerns regarding your rental.